Hewitt Studios are excited to be implementing plans for the refurbishment of Social and Student facilities at North Shropshire College. 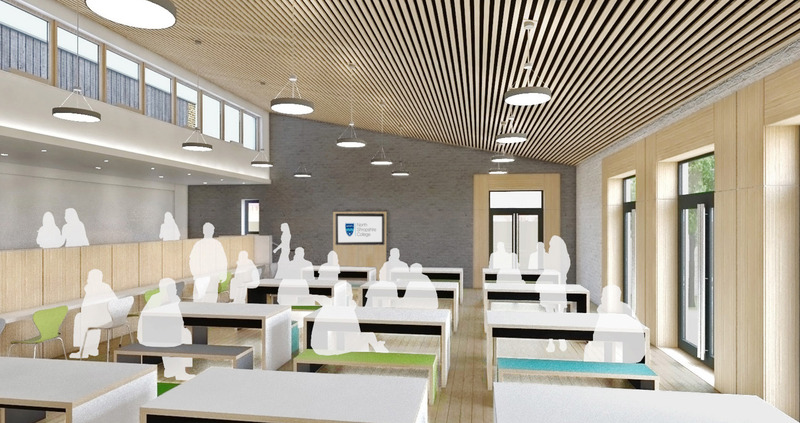 Existing facilities will be reinvigorated with new accessible landscaping features, coordinated way-finding & corporate signage and a fresh fit-out to key areas including the reception & refectory. The first phase of works is scheduled to be complete by April 2019.